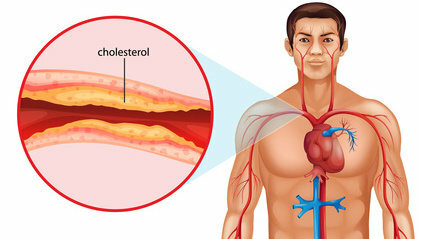 Normal Levels Of Cholesterol can be attain by proper cholesterol management. Normal levels of cholesterol in the body is vital to your health. When the blood has high levels of cholesterol, it poses health threats such as heart disease, strokes, impotence, high blood pressure, gallstones, and a loss of mental acuity. It is important to know overall that all cholesterol is not bad. Your body needs it moderately for cell function, nerves and hormones. Furthermore it is a vital part of all the cells in the body; and not having it will make your life impossible. If you have high levels of it, normal cholesterol levels can be attain through cholesterol management. This is consisted of managing what you eat and your level of daily activity such as exercise. The circulation of cholesterol occurs in the body when a substances call lipoproteins carries it in the blood. One type of cholesterol call low-density- lipoprotein (LDL) distributes cholesterol from the liver where it is birthed to the cells that need it. Furthermore another type of lipoprotein call high-density-lipoproteins (HDL) carries the oversupply of cholesterol from the cells back to the liver. There it is then broken down and expel from the body or reprocessed. The lipoproteins under normal conditions keep normal levels of cholesterol balanced in the body. But this precisely set system can be exhaust when the body produces excess cholesterol than HDL can get rid of. Next the cells grab what is needed; the remaining HDLs extract what they can, and the additional remains in the blood. Furthermore if the cholesterol (LDL) oxidizes and bond to the artery walls, it establishes the stage for inflammation of the arteries. This inveterate inflammation adds to the accumulation and placement of cholesterol and plaque on the inner walls of the arteries. This is what you call build up or the narrowing of the arteries. It’s the first stage of heart disease. Therefore having normal levels of cholesterol in the blood is vital to your health.